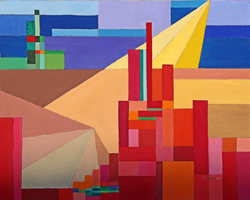 Bibel has been painting for over 40 years and produced over 300 works, 80 before 1980. 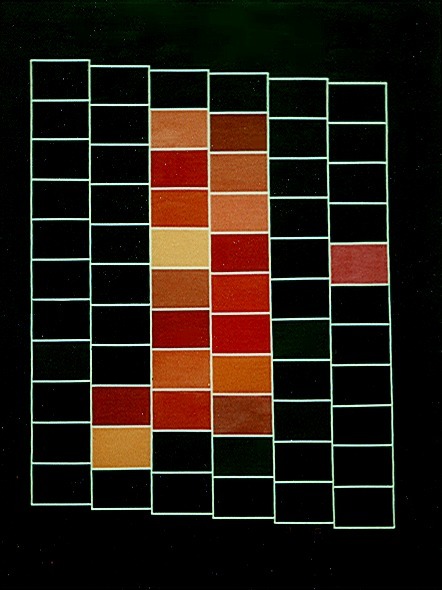 As these representative works demonstrate, her present style is essentially a long evolved line of core elements: blocks of color — usually solid; the definite shade of color; the clear form. 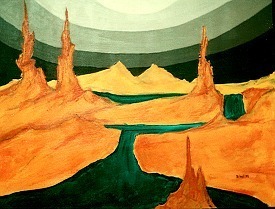 O Brave New World, what a long strange trip it’s been! 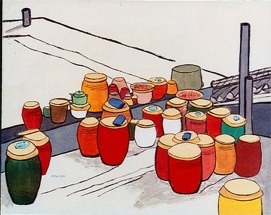 Kimche Pots (1987), 30 × 24 in. 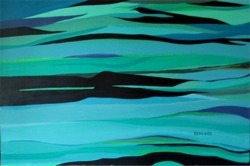 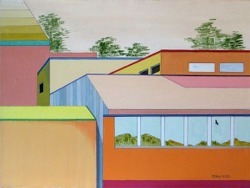 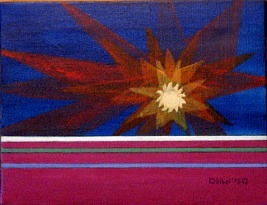 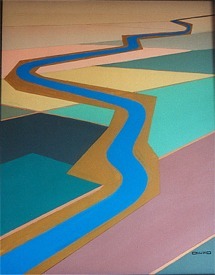 Oasis (1978), 24 × 18 in. 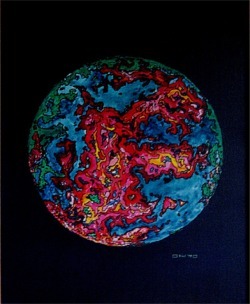 Cosmos (1972), 24 × 30 in. 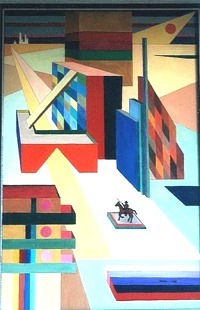 * Sanctuary (1975), 18 × 24 in. 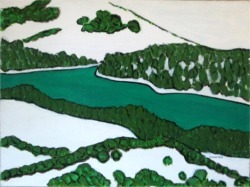 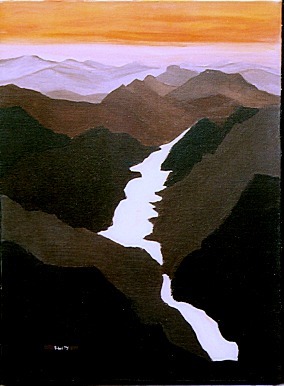 × Untamed River (1982), 18 × 24 in. 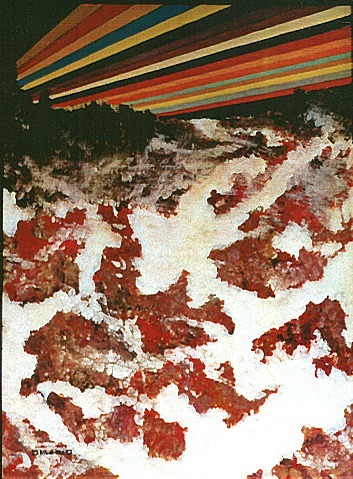 Serengeti Sunset (1974), 24 × 36 in. 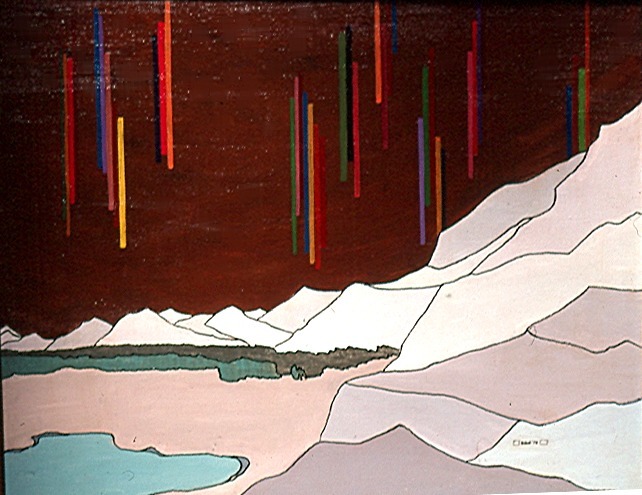 * Arctic Light (1976), 24 × 18 in. 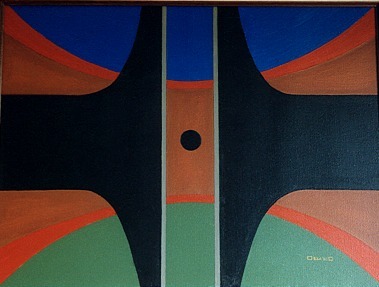 * By Jove (1979), 22 × 28 in. 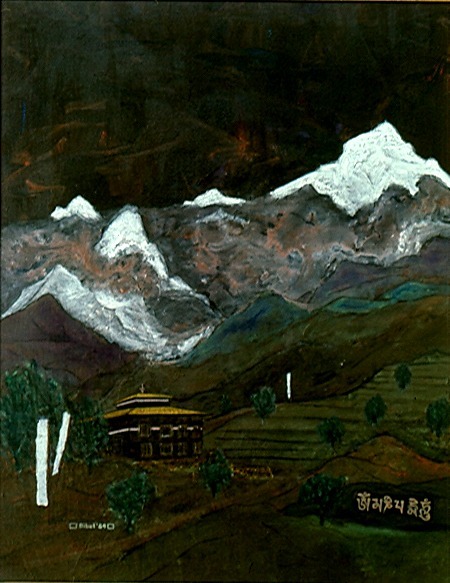 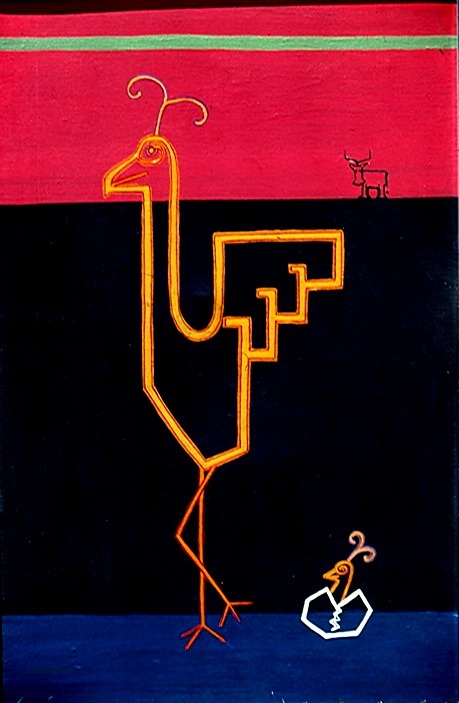 Khumbu Night (1984), 24 × 30 in. 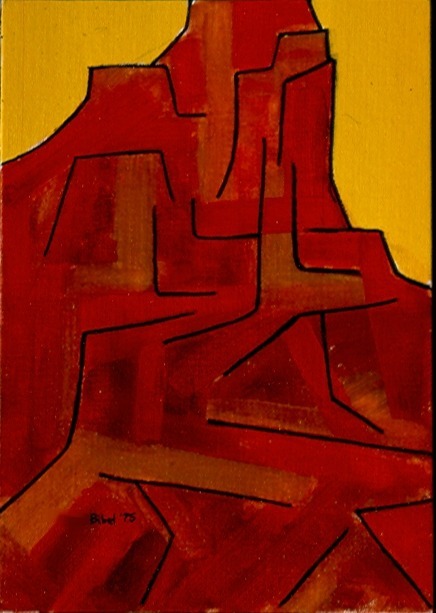 Crag (1975), 8 × 10 in. 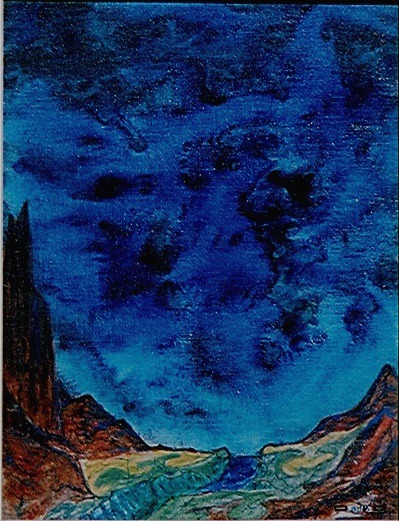 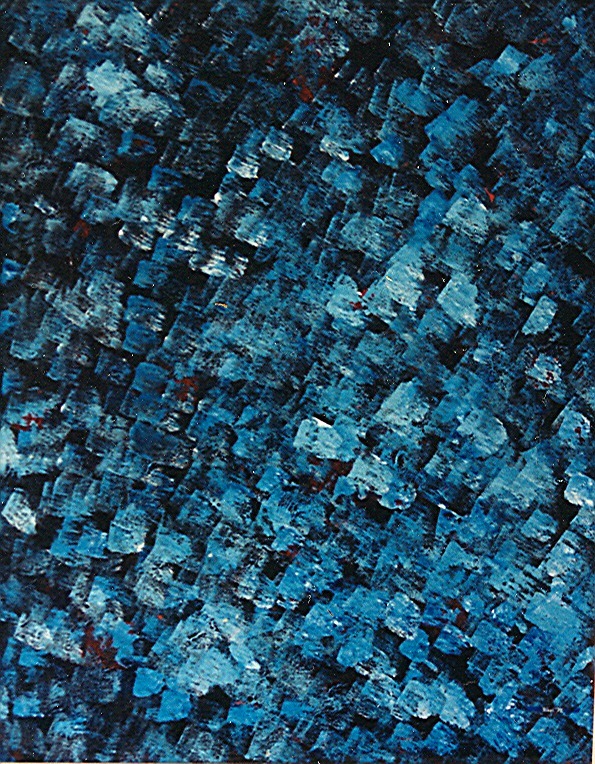 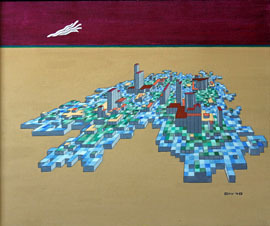 Nightscape (1972), 16 × 20 in.